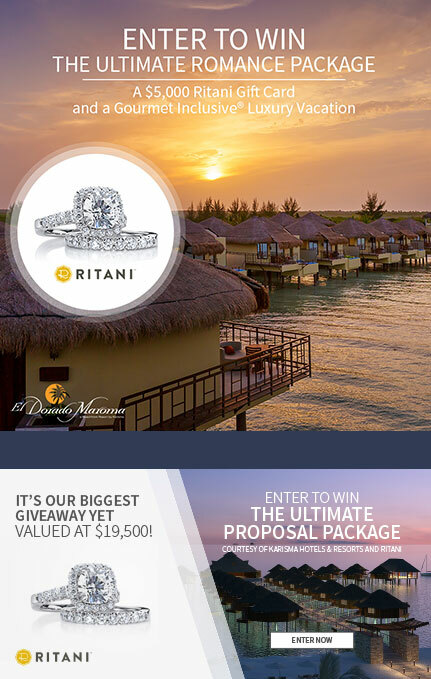 Ritani wanted to drive brand awareness and introduce their unique "Make Your Engagement Ring" program, where bridal customers can select a diamond and design an engagement ring online and then visit their local Ritani affiliate jewelry store to view and try on their ring, without a purchase obligation. Karisma Hotels & Resorts wanted to increase their database of engaged couples and bring awareness to their new Palafitos Over-The-Water bungalows. 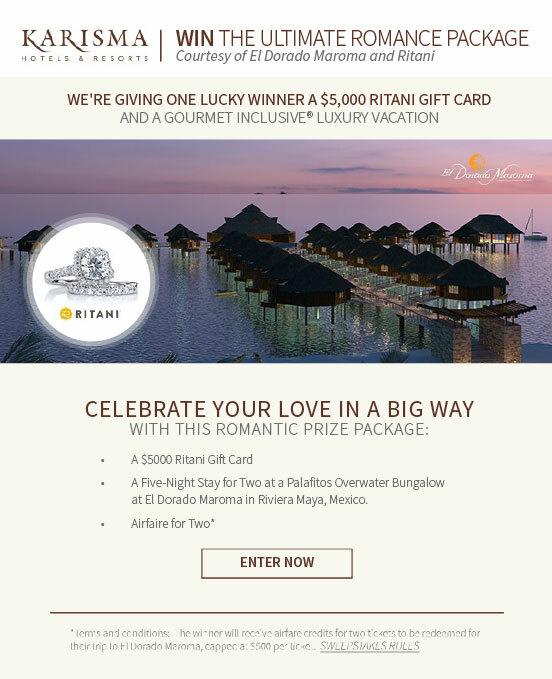 We partnered with Ritani to create an enticing contest giveaway, The Ultimate Romance Package, consisting of airfare and accommodations for a 5 night stay at Palafitos Over The Water Bungalows, PLUS a $5000 Ritani gift card. We mutually marketed the program through email and social media over both partners' reach. The contest ran for just over a month and garnered over 21K leads that were opted in for both partners' use. In addition to the promotional marketing channels a press release was distributed and picked up by several media outlets regarding the contest and produced incremental exposure for both partners. 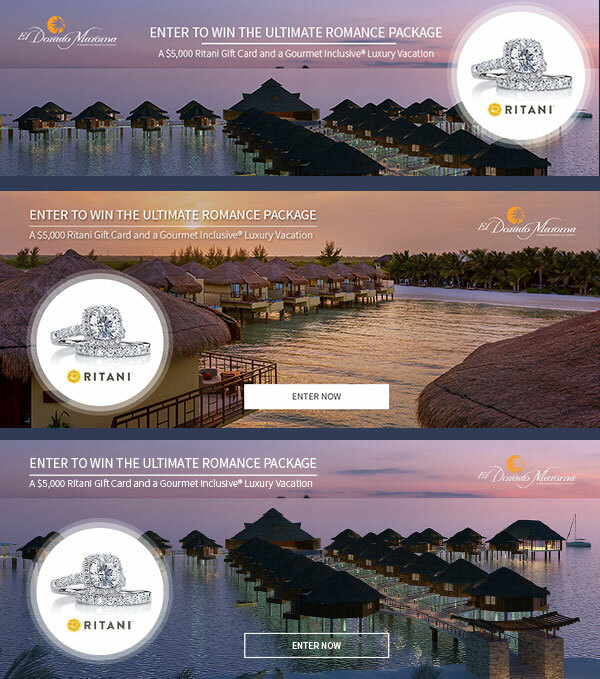 Consumer were given the chance to win an ultimate romance getaway with a 5-night stay at the all-new Palafitos Over The Water Bungalows in Riviera Maya, Mexico PLUS a $5000 Ritani Gift Card.